Nolita (north of Little Italy), is a small neighborhood that is bounded on the east by the Bowery; the west by Lafayette Street; the north by Houston; and the south roughly by Broome Street. But it packs a wallop when it comes to food. There are many restaurants to try but I went there recently in search of Brazilian Gelato and discovered rice pudding too. 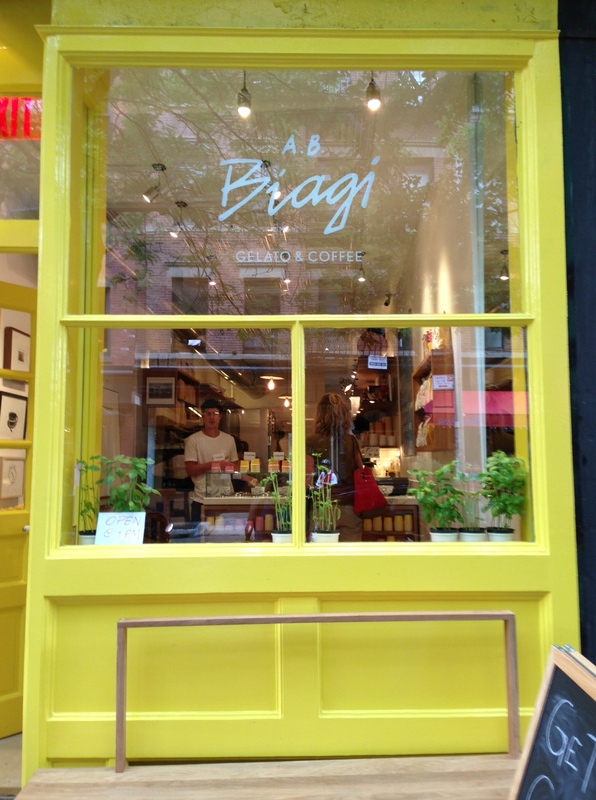 Antonio Barros Biagi, owner of the shop, first fell in love with gelato while growing up with his Italian family in the Brazilian countryside. Their gelato recipes were adapted to Brazil’s tropical weather, using local fruits and naturally lower fat milk to create lighter frozen desserts that could stand up to the heat. The store offers a range of flavors including: cinnamon, white chocolate, hazelnut and goat cheese with anise. You can also have Brazilian coffee. 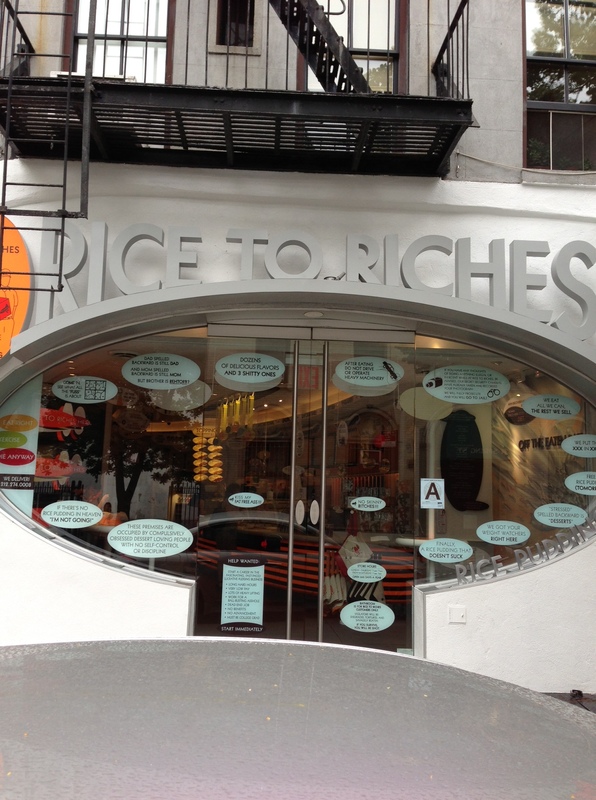 On my way to Biagi’s I discovered a NY Culinary Find that I hadn’t been looking for — Rice To Riches. Located on Spring Street between Mulberry and Mott, this store only sells rice pudding. The pudding choices all have amusing names like: hazelnut chocolate bear hug, almond shalmond, coconut coma and , “category 5” caramel, among others. Owner Peter Moceo has put a lot of thought into every detail of the shop. The rice theme is brought to life from the front glass window to the shape of the plastic bowls the pudding comes in. A 4oz. bowl is available in 4 flavors but the average selling size is 8oz. When I was there, I saw groups ordering a 3-dish bowl for sampling and sharing. You can even order the rice pudding online for delivery the next day. Sounds yummy. Nolita is one of my favorite areas. yummy treats in the area.